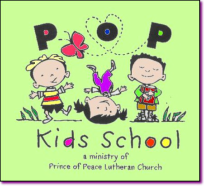 POP Kids School is a fun and exciting place to learn! With a variety of programs and educational enhancements, POP Kids School is the prefect place for your little one to become equipped for Kindergarten and the exciting years ahead. of Prince of Peace Lutheran Church.